The digital workforce was a revolution in itself, but the mobile workforce takes it to a new level. What does mobile really mean? Mobility is often associated with a physical device - the mobile phone. However, a mobile workforce is more than just employees running around with mobile phones. A mobile workforce has access to real-time information wherever they are on any device and the ability to communicate back in real-time. Many organizations have a workforce that works virtually or is dispersed across many locations. How do you ensure these employees are getting the right information at the right time on the right device to perform their job? Whether it is corporate news, new policy updates or real-time Key Performance Indicators (KPIs) or even individual tasks, information is the most valuable when it is timely, relevant and engaging. The most successful organizations will be the ones that recognize the value of putting information at the fingertips of the employees, customers, vendors and partners. The rewards will be numerous from time savings to increased sales to improved satisfaction to company agility. 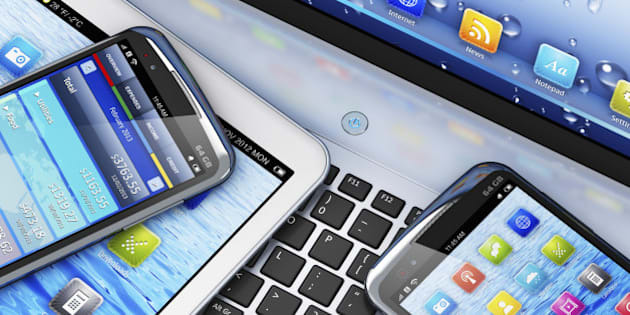 Enterprise mobility is a strategic concept, and not simply a matter of buying the latest devices. Rethinking enterprise mobility requires understanding the tools needed, the ways people consume information and how that ties in with overall corporate objectives. Mobile devices, whether phones or tablets, make sense for a huge range of industries. Sales professionals can always be reachable, while technical personnel working in the field can receive important updates in a timely manner. Field technicians can log their work with ease and accuracy, and employees can take care of mundane office tasks without necessarily being in the office. Whether you provide phones or tablets for your team, or have a "bring your own device" (BYOD) strategy, enabling your team to accomplish important tasks on the go is a cornerstone of enterprise mobility. However, another point of consideration that is almost as important as the device itself is what type of information will your employees need to have access to on their mobile device? Will they need to provide real-time updates back on the status of tasks and projects or share key information from the field? Are there corporate resources like expense tracking or vacation requests they need to access when out of the office? A digital communications platform enables organizations to share information in real-time with people regardless of where they are and on any screen is a critical piece of software to have. One of the drawbacks to a dispersed and mobile workforce is that it can be harder to corral everyone for important meetings. Fortunately, videoconferencing technology has advanced to the point that even smaller businesses can afford it - and they're often the businesses that benefit most. Videoconferencing saves on travel expenses, makes scheduling meetings easier, and is now mobile-friendly, so your busy and scattered workforce can "get together" virtually more easily and cost-effectively than ever before. Videoconferencing makes working virtual still feel like you are part of a team! You might not think of digital signage as being integral to enterprise mobility, but it is. When you have a mobile workforce getting information to the right people at the right time is extremely important. Perhaps it is displaying important corporate messages when they are arriving and leaving the office on a videowall in the lobby or departmental KPIs on a screen in their area or safety notifications on screens throughout the office, regardless digital signage is a great way to make sure the information is seen by people on the move.